Cement, mica, asbestos and stone falls under HSN code chapter 68 of GST commodity tariff schedule. The details about GST rate changes for sale of Cement, mica, asbestos and stone are being updated here. The notification changes on exemptions for GST for sale of Cement, mica, asbestos and stone and other circulars related to GST for Cement, mica, asbestos and stone are updated in this website. 2. 6805 Natural or artificial abrasive powder or grain, on a base of textile material, of paper, of paperboard or of other materials, whether or not cut to shape or sewn or otherwise made up; such as Abrasive cloths, Emery or corundum coated paper, Flint coated paper, Glass or sand coated paper. 3. 6806 Slag wool, rock wool and similar mineral wools; exfoliated vermiculite, expanded clays, foamed slag and similar expanded mineral materials; mixtures and articlesof heat insulating, sound-insulating or sound-absorbing mineral materials, other than those of heading 6811 or 6812 or chapter 69. 4. 6811 Articles of asbestos-cement, of cellulose fibrecement or the like..
1. 6801 Setts, curbstones and flagstones, of natural stone (except slate). 2. 6802 Worked monumental or building stone (except slate) and articles thereof, other than goods of heading 6801; mosaic cubes and the like, of natural stone (including slate), whether or not on a backing; artificially coloured granules, chippings and powder, of natural stone (including slate); of marble, travertine and alabaster, of Granite, of Other calcareous stone. 4. 6807 Articles of asphalt or of similar material (for example, petroleum bitumen or coal tar pitch). 5. 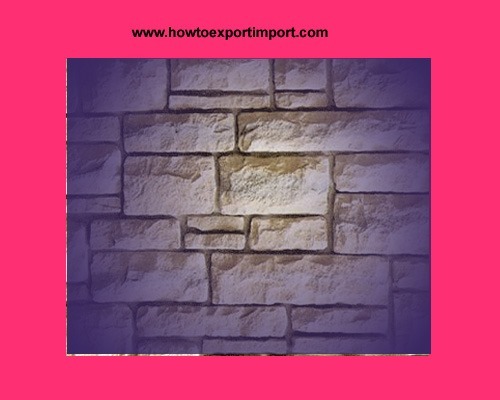 6808 Panels, boards, tiles, blocks and similar articles of vegetable fibre, of straw or of shavings, chips, particles, sawdust or other waste, of wood, agglomerated with cement, plaster or other mineral binders. 6. 6809 Articles of plaster or of compositions based on plaster; such as Boards, sheets, panels, tiles and similar articles, not ornamented. 7. 6810 Articles of cement, of concrete or of artificial stone, whether or not reinforced; such as Tiles, flagstones, bricks and similar articles, Building blocks and bricks, Cement bricks, Prefabricated structural components for Building or civil engineering, Prefabricated structural components for building or civil engineering. 9. 6813 Friction material and articles thereof (for example, sheets, rolls, strips, segments, discs, washers, pads), not mounted, for brakes, for clutches or the like, with a basis of asbestos, of other mineral substances or of cellulose, whether or not combined with textiles or other materials. whether or not on a support of paper, paperboard or other materials. 11. 6815 Articles of stone or of other mineral substances (including carbon fibres, articles of carbon fibres and articles of peat), not elsewhere specified or included. ornamental goods essentially of stone. In India, GST is payable for Cement, mica, asbestos and stone. However, some of the categories of business under HSN code 68 are expected to be exempted from paying GST. The list of exempted categories of business and exempted products and services under GST is expected to be released soon. Current scenario of cement industry, the overall indirect tax incidence is currently estimated to be around 25 per cent before GST regime. The cement industry is also expected to benefit from lower costs of logistics, overall, a decrease in cement prices is expected if GST is imposed 18% which is expected. How to get GSP certificate of origin in India? What is the GST rate on flagstones? How much GST on natural stones? What is the GST tariff on foamed slag? 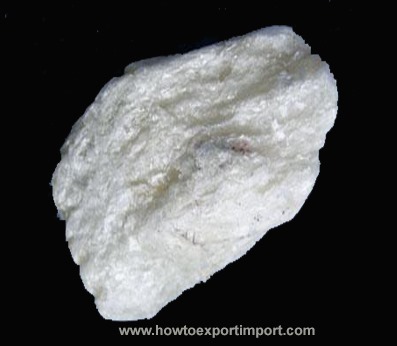 What is the GST rate on exfoliated vermiculite? How much GST on heat insulating? What is the GST tariff on headgear, footwear and gaskets? kailash rathore: On 30 June 2017 Gst slab for stone crusher machine holder in m.p. Piyush jain: On 01 July 2017 Price of cement asbestos sheet after GST will rise or fall. Please answer quickly. shrikant: On 02 July 2017 I would like to know that rate of tax under gst for asbetos cement pipes. secondly shall I get setoff of tax for cement used for manufactur of asbetos cement pipes. Rcc precast concrete bench: On 08 July 2017 Rcc precast concrete bench me gst tax kitna lagega? How to transfer fund from one country to another?